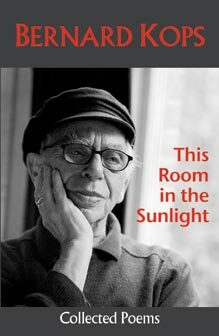 InThis Room in the Sunlight In This Room in the Sunlight Bernard Kops has chosen his best poems from his lifetime's work from seven previous volumes and added some new ones. His poems are witty, dark, poignant, mournful and celebratory. They cover his early breakdown and drug addiction, family life, growing old and his Jewish identity. He has included well-known poems such as Shalom Bomb, an unofficial anthem for the CND movement in the 1960's and his more recent Whitechapel Library, Aldgate East which mourns the passing of the old library in the East End of London, where he grew up. Other poems tell of his feelings about encounters with people, ordinary and famous. So there are glimpses of WH Auden and Allen Ginsberg alongside those of his friends, neighbours and loved ones. Kops is one of Britain's most celebrated and prolific authors. He has also written more than forty plays for stage and radio, nine novels and two autobiographies. And in recognition of his literary work, he has had the rare honour of a Civil List pension being conferred on him by the Queen. Awarded for life, it puts him in the exalted company of poets such as Lord Byron and William Wordsworth. "His poems about nuclear war, about the Holocaust (in which many of his family perished) and more recently about his love for his wife Erica and his immediate family will be remembered for their shapely form and their personal force. He is a worthy literary descendant of the First World War poet Isaac Rosenberg." "Shalom Bomb was powerful, ecstatic ... incomparably imaginative, committed and aware writing." "Kops evokes the real world - the world as we know and live and breathe it."